Facebook’s biggest move this week was the announcement that the platform will attempt to build back the sense of privacy that was eroded by the house policy to harvest as much data as possible. But its most impactful move could be Thursday’s decision to de-platform anti-vaccination pages on Facebook and Instagram, gutting the conspiracist content from the feeds of its 2.32 billion monthly active users. Content that suggests vaccination is harmful to children will no longer be promoted on ads, or on Instagram’s Explore page, and will be de-prioritized in search results and in its News Feed. Anti-vax posts and pages, however, will remain live. As of publication, the timeline for the censorship of vaccine misinformation is still unclear: As Wired states, a search of “#vaccine” on Instagram’s hashtag page displays “#vaccineskill” and “vaccinescauseautism” among the top results. Facebook’s move was not a surprise: Pressure on the platform to make such a decision has increased in the new year, and in February, California Representative Adam Schiff sent a letter to Mark Zuckerberg requesting additional information on the site’s strategy to “provide medically accurate information on vaccines.” In the past couple months, several bad news cycles have pressured the company to reconsider its marketplace-of-ideas approach to the topic: In February, the Guardian reported that anti-vax sources frequently outperform medically accurate information on Facebook. Earlier this week, a teenager from Ohio who had to inoculate himself testified before the Senate that his anti-vax mother received her information on vaccines exclusively through Facebook. And, to reaffirm an already established medical truth, a major study of more than half-a-million Danish children determined that vaccines do not increase the risk of autism — just as cases of measles have broken out among uninoculated children in New York, Texas, and Washington state. In recent months, other online platforms have limited the scope of anti-vaccination information: after a BuzzFeed News report found that anti-vaxxers on YouTube were playing ads before their videos, the site demonetized such channels. Pinterest took a step similar to Facebook’s, banning any vaccine information from being displayed in searches. (Two years ago, it had banned “anti-vaccination advice.”) But Facebook’s move could be have a greater impact — cutting potential anti-vax content from the searches of some 2.32 billion users — and should be easier to implement. 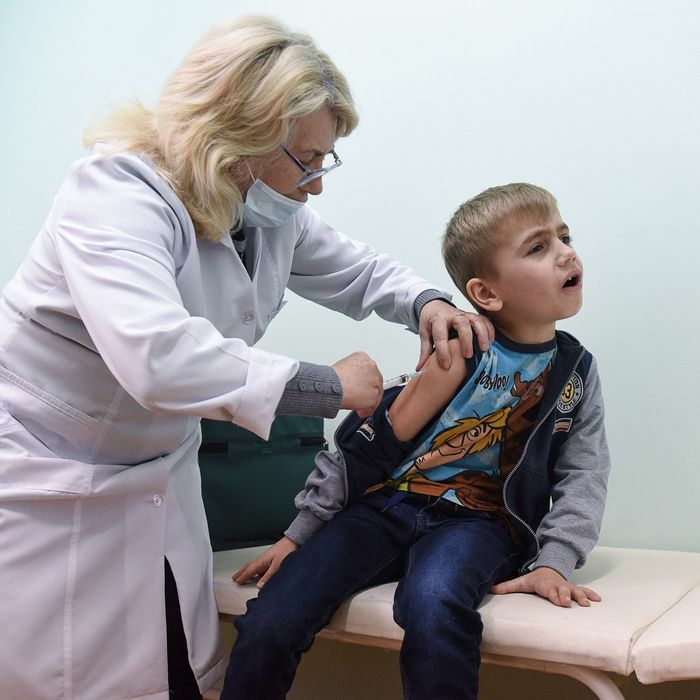 A report from the Atlantic last month suggests that the anti-vax market is quite top-heavy: “Just seven anti-vax pages generate[d] nearly 20 percent of the top 10,000 vaccination posts” in a three-year period. So, like a parent choosing to inoculate their child, Facebook won’t have to exert a great deal of effort to correct years of anti-vax dissemination.